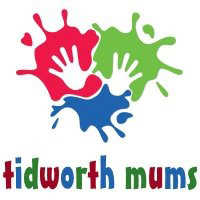 WHEN asked what Tidworth Mums is, my response used to be “a committee of military wives, who are also parents from the town, with an aim to improve the experience of anyone with children within the area.” Now it is not that simple! In November 2011, Mary Cullen from Wiltshire Council “ambushed” one of the Army Welfare Service coffee mornings to do research into what it was like to be an Army wife. Looking back now, we were not forthcoming with answers to an outsider who didn’t appear to understand aspects of our lives. Nevertheless Mary ploughed on with her research, which resulted in a DVD being made through the Wiltshire Voices Project. It was later distributed to local schools, welfare units, childcare settings and councillors. This DVD became our platform for change, making others aware of Army families’ situations and giving them a true sense of understanding. It has been through this process that we have made changes for ourselves and developed something which has become embedded in our community. Having created a committee of four, the two aspects of Tidworth life we really wanted to change were the age-old issues of poor communication and helping to make toddler groups much more accessible. We created a Facebook page, which has been integral to our success. Membership currently stands at 800 and questions vary from “do you have a number for a particular contact?” to “can you give us advice on a specific topic?”. The page has now grown and we foster an online forum where anyone who feels able to can offer advice. Our role as administrators on the page is to promote local services and activities and “police” what is written. We are very firm about not allowing advertising for business, personal or political gain. We insist that the page is for all of our community. Both the Garrison and local councillors have access to the group so hopefully this too is shaping where we live. We recognised the need for a mother and toddler group where children could release some of their energy. We received a large grant from the area board for soft play equipment and by June last year, we had two groups running. 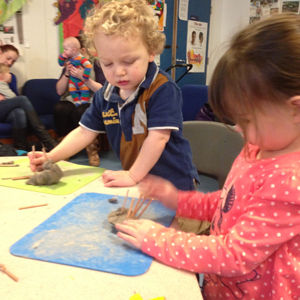 Crafty Monkeys is a messy-play group with various tactile activities. Parental participation is at the centre of this group which helps to make it so positive. Active Monkeys, like its name suggests, is a high-energy play session using tunnels, balancing equipment, hoops, balls and bean bags. More than 30 children attend; we are at capacity and if we were given more space and had more volunteers then we would run another session. It highlights just how successful this group is and shows there’s a need for it in our community. We run coffee mornings where everyone is welcome; military, civilian, childminders, au pairs, dads, grandparents and even the brave lone woman who enters without children! It’s important to get a good balance. I want my son to know that not all mums are in their twenties and not all dads dress like soldiers and drive tanks! Having a real-life demographic in the room helps to focus the Khaki-coloured bubble. Another of our aims was to provide something for mums. We know how lonely it is when your husband is away or when you move somewhere and don’t know anyone. 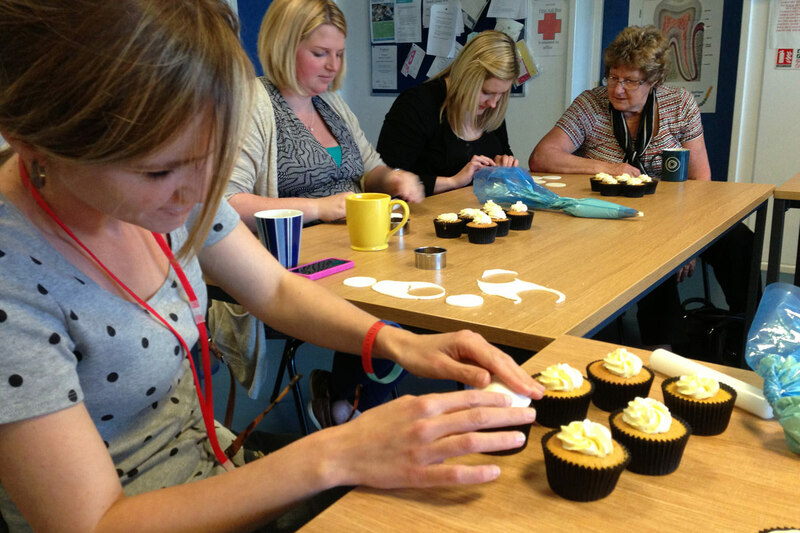 We run a range of events every few weeks which vary from a ladies pamper evening, a baby boot sale and our most popular event the cupcake decorating evening! This is also our chance to support local businesses and particularly the cottage industries that surround us. Our groups and events are going from strength-to-strength. We were thrilled to win the Pre-school Learning Alliance’s Outstanding Volunteer Team Award and come second in the Garrison Commander’s Award for our efforts towards civilian and military integration. 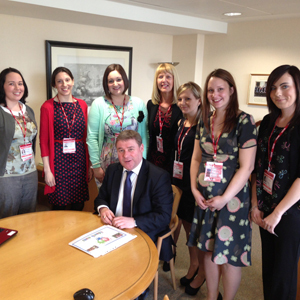 Our biggest achievement was receiving an invitation to Whitehall by the Defence Minister, Rt Hon Mark Francois MP, to give him a presentation about Tidworth Mums. The outcome was to produce a DVD which will be distributed to other garrison towns across the country. When asked what Tidworth Mums is now I beam with pride. It’s a group of inspirational ladies who make a difference to others in our community. It’s a group of welcoming women who will make you a cup of tea when that’s just what you need! We smile at the fact that when we discuss diary dates each week we say “next week we’ll have a quieter one” – we’re still waiting for this to happen! And as for what’s next… just watch this space!